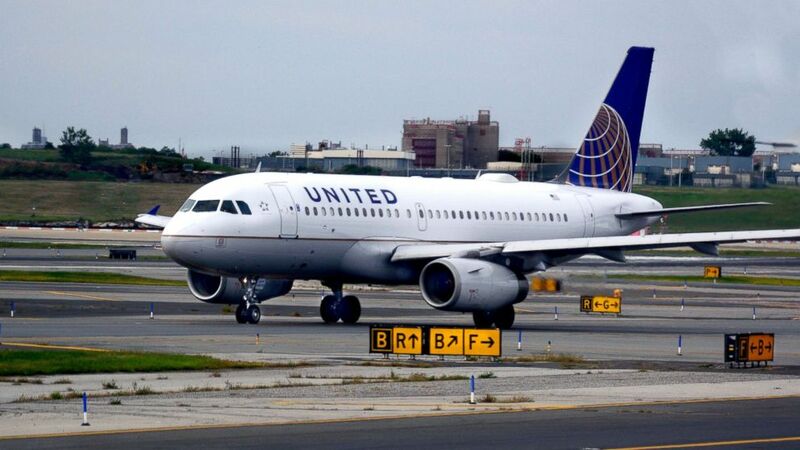 Travelers flying with Delta Air Lines or United Airlines will now need to provide additional documents if they wish to bring their emotional support animals along in the cabin. Starting Thursday, they’ll need to provide the airlines with documents certifying that their animal is properly trained to behave in public and forms detailing their animal’s health and vaccination records, in addition to signed letters from a licensed doctor or mental health professional. (Chip Somodevilla/Getty Images) With the U.S. Capitol dome in the distance, a Delta airplane takes off from Ronald Reagan National Airport, Sept. 1, 2017, in Washington, D.C.
Delta notes in its press release that customers may now also be asked to provide veterinary health forms for their trained service animals. United’s policy update does not apply to service animals. Service animals are trained to assist individuals with disabilities like visual and hearing impairments, seizures or mobility limitations, according to Delta's website. Emotional support animals assist those with emotional, psychiatric, cognitive or psychological disabilities. 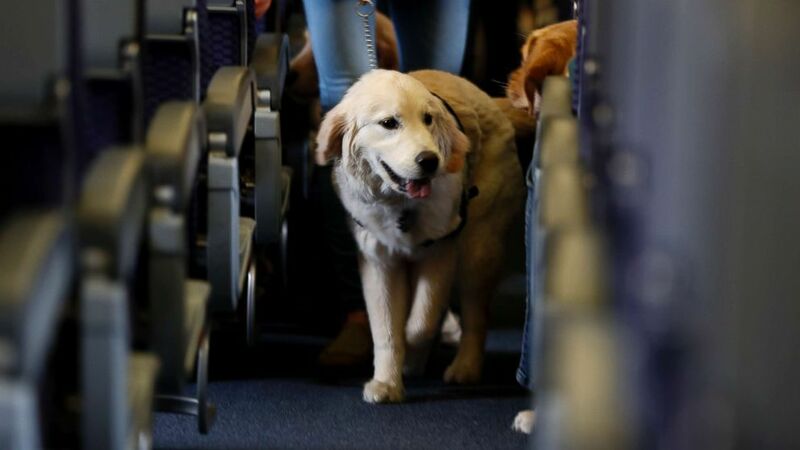 The policy update comes after an increase in incidents involving emotional support animals for both airlines. (Julio Cortez/AP) In this April 1, 2017, file photo, a service dog strolls through the aisle inside a United Airlines plane at Newark Liberty International Airport in Newark, N.J.
United said it saw a 75 percent increase in emotional support animal incidents between February 2017 and 2018. Delta reported an 84 percent increase in service and emotional support animal incidents since 2016, including urination/defecation and biting. 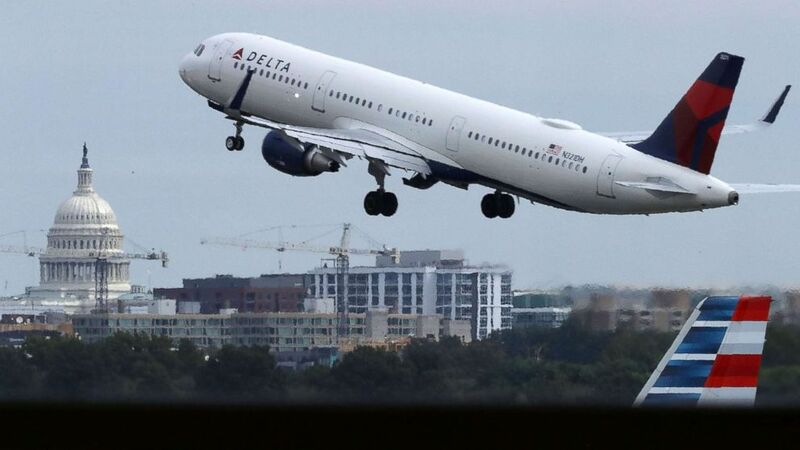 “The rise in serious incidents involving animals in flight leads us to believe that the lack of regulation in both health and training screening for these animals is creating unsafe conditions across U.S. air travel,” John Laughter, senior vice president for corporate safety, security and compliance for Delta Air Lines, said in a statement. (Robert Alexander/Getty Images, FILE) A United Airlines Airbus passenger jet taxis at LaGuardia Airport in New York, in this Sept. 21, 2017 file photo. In June last year, a Delta passenger was severely injured after officials say he was attacked by another passenger’s emotional support dog just prior to takeoff. And a woman was denied boarding on her United flight with her emotional support peacock in January after the bird failed to meet guidelines “for a number of reasons, including its weight and size,” United said in a statement at the time. As previously required, all animal-related documents must be submitted to either Delta’s Service Animal Support Desk or United’s Accessibility Desk at least 48 hours before travel.